This may come as a shock after all the media have put a focus on your special day. But you’ll be much happier if you remember that sometimes your wedding is about your family and your soon-to-be-spouse and his 6 month old crying niece. Your wedding is a big party for a whole lot of people… who aren’t you. If you are analytically inclined, then maybe you need some proof. 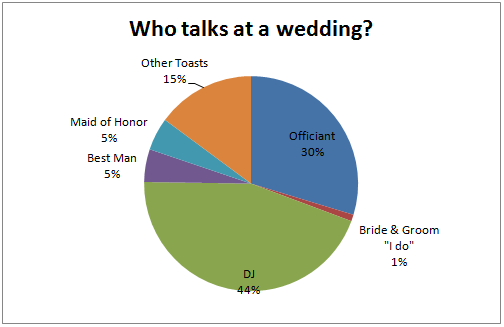 Here’s three charts to show why your wedding is not about you. The data presented below may or may not be made up. You’re there all day but can hardly get a word in! 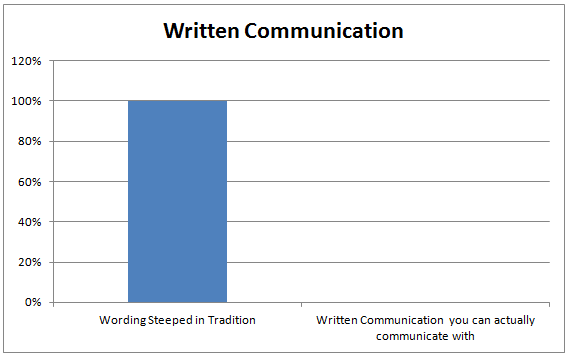 You have zero control over how you communicate. 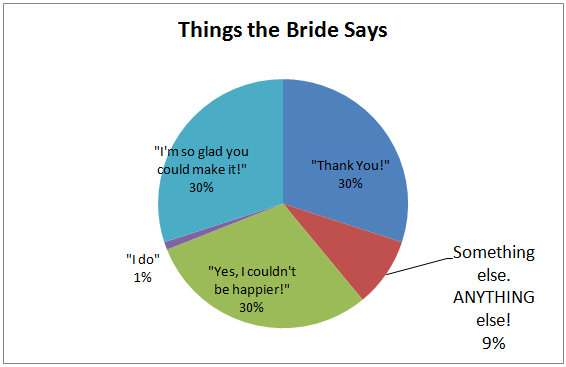 A Bride’s conversation consists of 4 phrases for the whole day. You know, maybe this is why people elope? Thankfully, the honeymoon IS all about you and your spouse! So get excited for that honeymoon and practice zen-like patience while you plan the biggest, most expensive party of your life! This entry was posted in Dancing and Performance, Social Mathematicians and tagged Communication, Wedding. Bookmark the permalink. 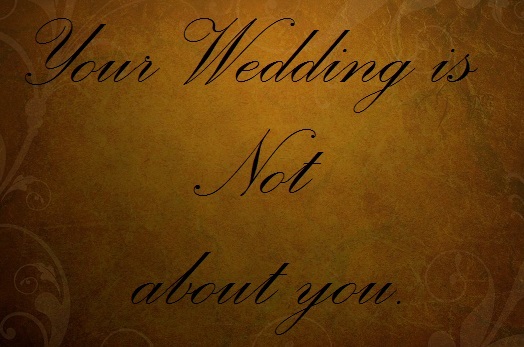 2 Responses to Your Wedding is Not about You.